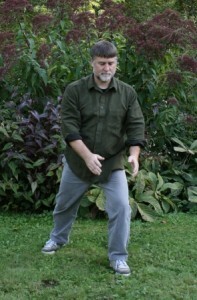 Beginning in January I will host two 8-week Qigong classes. Both classes will run two times a week; on Mondays and Fridays. Students can choose to attend one or both classes, either once or twice a week. Mondays and Fridays from noon to 1:00 will be Introduction to Taoist Yoga: Stretch your muscles, ligaments, tendons, and joints using the principles of Chinese movement. The cost for this course is $80. You can take it once or twice for the same price. 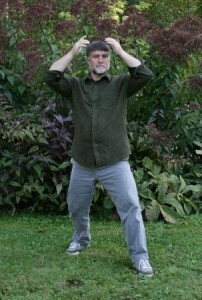 Mondays and Fridays from 1:00 to 2:00 will be Qigong to Prevent Colds and Flu. Use vibrating healing sounds and slow, rhythmic, repeating movements to knock an incipient sickness off it’s trajectory. Here are photos of one of the Qi-refining exercises that will build the strength of your immune system. 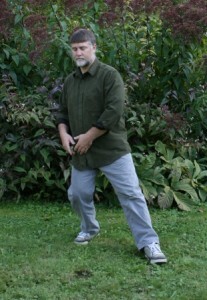 Here is basic list of Qigong Workshops that I offer. Click the hyperlink to get the 20-page PDF document of more detailed descriptions of each workshop listed below.